The earliest examples of creative expression. Cave paintings are the earliest known human paintings. Created during the prehistoric period — before the invention of writing — the oldest paintings date back to some 40,000 years ago. 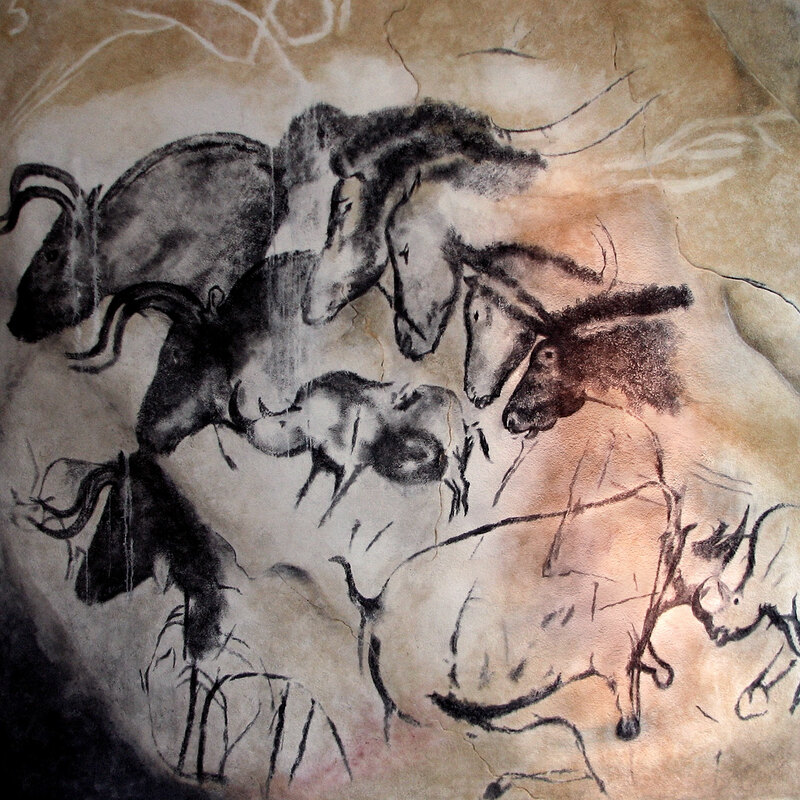 Most cave paintings consist of either geometric shapes and patterns or depictions of various animals. The animals represented were usually the largest and most formidable of those with which our ancestors came into contact, such as mammoths, cave lions, and wooly rhinoceroses. These are perhaps the most visually striking examples of cave art, displaying a surprising amount of artistic mastery. Cave paintings were mostly created using red and black pigments. The reds were made from iron oxides, like hematite, whereas charcoal and manganese dioxide were used for the blacks. Other colors, such as yellow, white, brown, and purple have also been found. Interestingly, blue and green are missing from the palettes of cave artists. The exact purpose of the paintings is unknown. Because many have been found in cave areas that are not easily accessible, it’s possible that they had ceremonial or religious purposes. Other theories suggest that some could have been used for communication, either between people or in attempts to contact the sprit world. The featured image is a replica of a painting from the Chauvet Cave, in the Anthropos Pavilion, Brno.